Got old clothes which you want to alter or recycle? 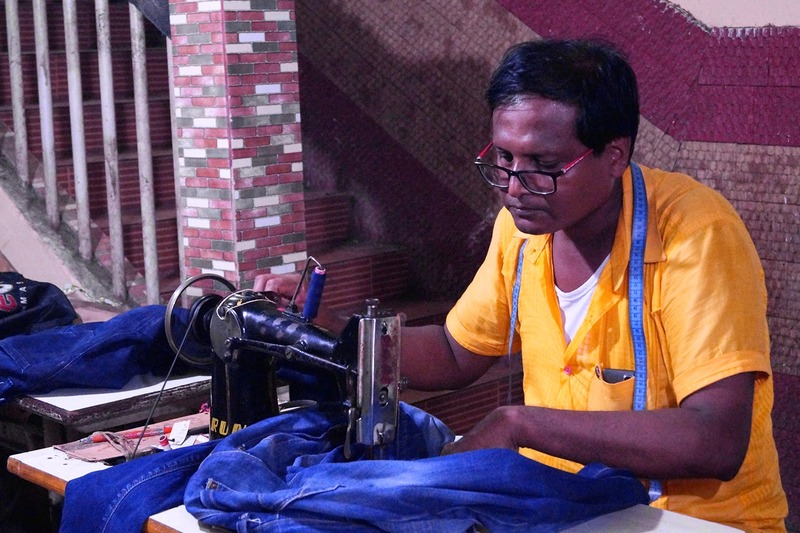 Let these tailors in Dakhinapan help you out (for the most nominal charges ever!). Have a bunch of old clothes you don’t feel like wearing any more? Want to get a pair of old denim ripped or cut into shorts or capris? Want to get your skirt hemmed? Or kurtis altered to fit you better? Or some kitschy embroidery done on a boring shirt? Or even bags made out of old curtains and the likes? You name it, the tailors at Dakhinapan will do it for you. And that too, without burning a hole in your pocket (40 bucks max!). The best part about them is that they will chip in with their suggestions when you give them something to alter. Just enter the complex through the main front gate, keep the Biswa Bangla store to your right and keep walking straight. When you see the Khadi Gramodyog Bhavan to your right, stop and enter the narrow lane just hugging the store. That’s where you’ll find them. They are also known for tailoring great things out of fabric or dress material. Want to get designer blouses, kurtis, dresses, tunics tailor-made for your body? Trust these guys with it. They open at 11.30 and close at 8, so it’s best if you go in the morning when there are not many customers in line. They stay closed on Sundays, however.